Rk Matta School is affiliated by U.K Govt. starting date 01-07-2002. Firstly this school was Hindi Medium then we changed this school in English medium. 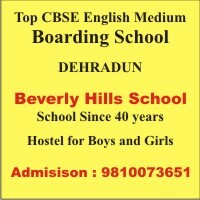 But now school is completely English medium. R.K Matta school is one of the best equipped school in Bidora- Majhola , Sitarganj rural Area with facilities that support excellence in all area. The infrastructure has been suitably planned to facilitate learning and all round development of the child. R.K Matta School believes in the dignity and worth do each child and provides a caring and secure environment for holistic growth and development. The aim of the school is to help develop the talents of the child by providing ample opportunities to express his/her views and interests. It asks provides a conducive atmosphere for all round growth of the child. At R.K Matta School, we provide a \activity based curriculum that fosters a positive self concept, a react for other and an ability to live and grow in harmony with the environment.